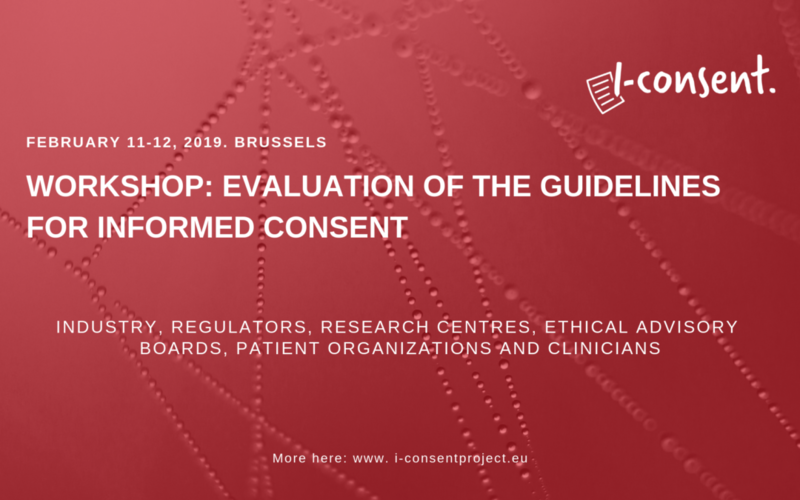 i-CONSENT will put together all the feedback received and move to the next step: validate the guidelines in three countries. More information and updates will follow. Stay tuned! I am pleased to know that the Project is growing. Nevertheless, as a clinical physician, I have always thought that we put too much emphasis on the IC. When a health problem is very complicated, the patient wants to be guided. In those situations there usually are many doctors involved, and as each one has his own point of view, it is rather difficult for the patient to decide. Even if he has been very well informed. Thank you for your message, Martha. We completely agree with your comment. Our project is devoted Informed Consent for clinical research. The Informed Consent for clinical practice should clearly be oriented to increase health literacy; therefore our view is that these should be designed in a completely different way.